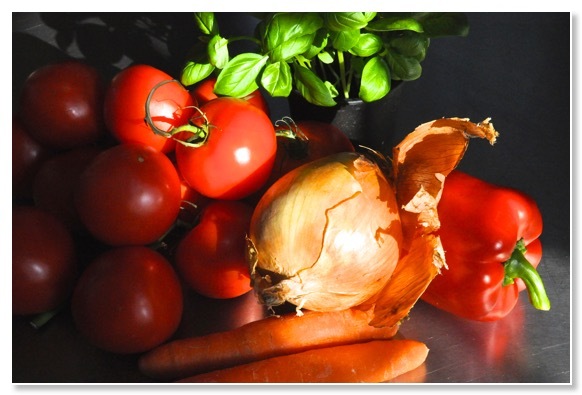 Pictured above are the main ingredients of Bill’s fresh tomato soup with basil when illuminated by some later summer sun in our kitchen. Our soups are much appreciated by customers, especially walkers. Other favourites are: chunky leek and potato, porcini mushroom with puy lentil and corn and cheese chowder. There something very comforting about a hearty soup made with fresh ingredients especially on a cold or wet autumn day. 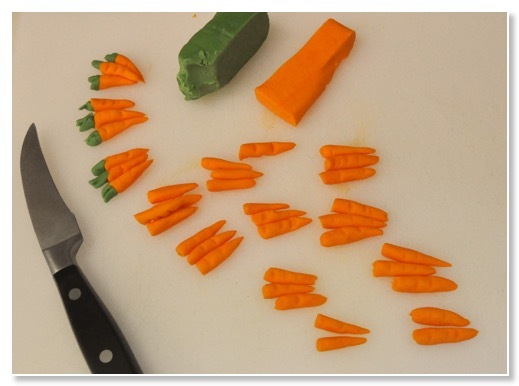 Pictured below are some of the sugar carrots we make to decorate Emily’s carrot cakes. It’s fun to make a few, but more than fifty at a time would risk ‘cake dec RSI’. 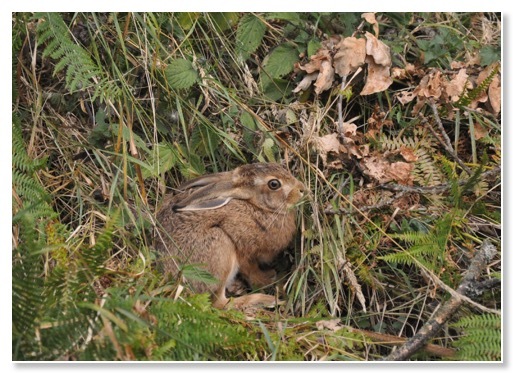 We seem to go through periods of spotting wildlife in close proximity to the coffee shop. This week we saw a badger rootling about at the side of the road into the village one early evening. 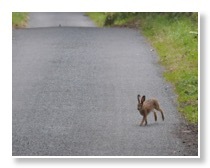 The previous day we had come across this young hare looking a bit confused on the road above the village. 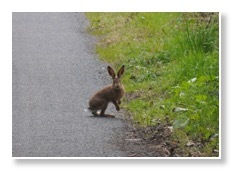 We eventually encouraged it to head off the road to the relative safety of the verge. 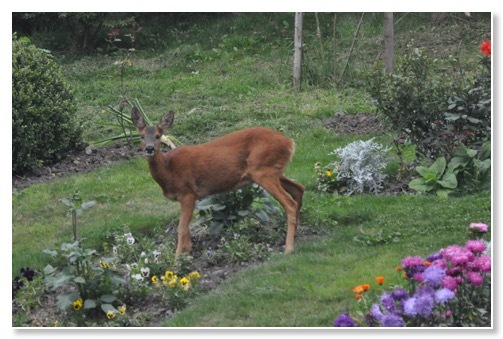 Later that evening we saw this deer enjoying a meal of pansies opposite us in the flowerbeds so lovingly maintained by railway volunteers. We are readjusting to a different rhythm of work now that the peak season is over. On some weekdays though it can feel as busy as holiday times. There’s only the two of us to cope with any sudden influx of customers, like the walking group from Finchley who were pleased to find us the other afternoon at the end of their twelve mile hike. On other days we sharpen up our Scrabble skills and catch up with reading. If we’re quick clearing up after we close, we can still get out for a ride on our tandem before dusk.